Houses You Can Afford features an interesting or notable weekend rental property. Got a suggestion? Say hello. In these lean and worrisome times, it's imperative to still have a little fun, so here's a suggestion: Go sock away some money and rent a house for the weekend with a bunch of friends (maybe 20 close friends). This is a home from design company Room Service; they have many fashionable homes for rent in Palm Springs. 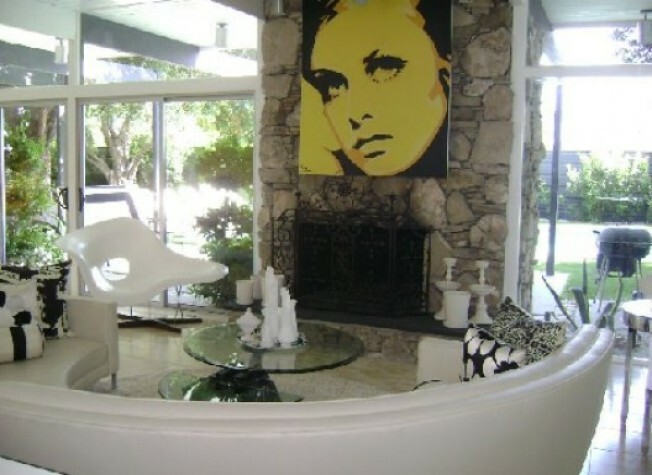 According to the web site, this is a Donald Wexler-designed home. It's available for $495/night, and the design is reminiscent of the Viceroy Hotel. Pour yourself a martini in that kitchen, take a midnight swim in the pool, shag someone in that bed. Life is good.